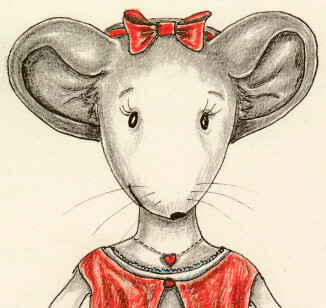 MS Mouse has challenges, just like you. She has learned to look at them with an element of humor. Each post will highlight a challenge that she has learned strategies to deal with them. Hopefully her experiences will help you as well. At least she hopes they'll make you smile. Well hello everyone. I've been making it as always. A few challenges over the last week though. And I'll tell you about it in a minute. First of all, I'm really happy that you're here. I'm glad you visited my page today. Come back soon, to see more updates. Well, hello and guess what! I've been busy. Yes, and I have a wonderful surprise for you. You can now get my cartoon series in book ebook form on Amazon - get it today (7-18), while it's free! After that, it's only $3.99. The paperback version is also available, see link to the left - for only $6.99. If you purchase that first, you can get the ebook version for only $.99. The next edition will be coming out soon, so look for that in a few months. Enjoy! !